This isn’t a description of an old Western movie—this is Guns’n’Glory. And this time it isn’t about survival… it’s about not letting anyone else survive. Have a read-through, it’s free! You’re the big boss of a gang of bearded Mexicans, rough desperados, greedy gunmen, brave Native Americans, all of which are traveling by train. Your mission is simple: destroy every settler that tries to get through the canyon. If too many of them escape the sheriff and his crew show up, and you lose. 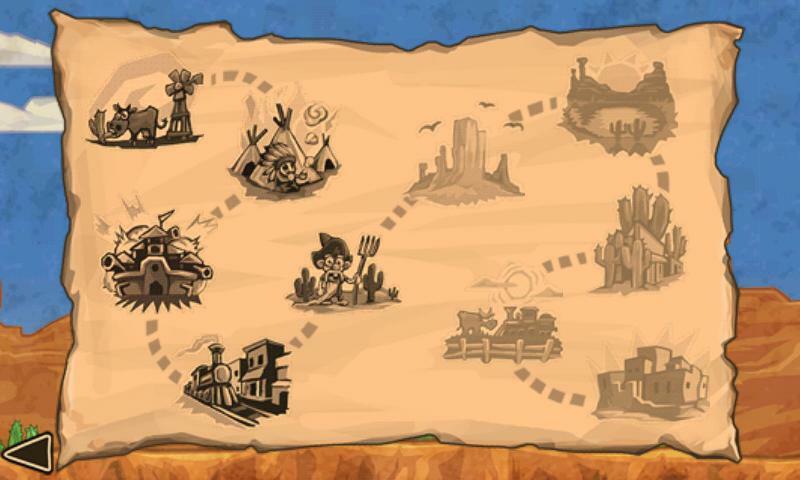 You start the game off with one or two units which you let roam about the map as soon as the game starts. You are also allotted a small seed capital so that you can rouse some other units from their sleep. There are waves of settlers—small ones at the beginning, but once you get to the higher levels hoards of troops rush towards you. You make a bit of money every time you kill a settler, and you can use this money to buy more units. However, this game doesn’t operate on the same tower defense m.o. as others (i.e. you can’t just select a unit and let them do the shooting): you buy a unit that’s asleep at the moment and ship them off to the spot where they’re most needed. On the whole you have to be a good manager and know how to think ahead in order to get the best use out of your units. If you’ve bought only the wrong sort of units you’re never going to win. 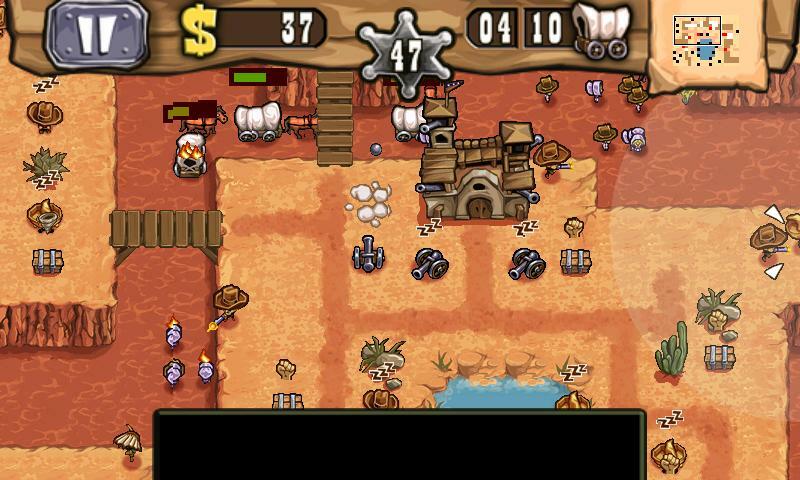 The gameplay is a whole new bag of beans—even to a seasoned tower-defence player such as myself. Unfortunately, the game only offers the level system; once you’ve fought your way through all of them there’s no point in starting over from the beginning. The app’s menu is easy to get the hang of, using elements that you can click on. There are Start and Help buttons as well as a little birdie with which you can mute the game. There’s also a bit of advertisement for the developers’ other games. 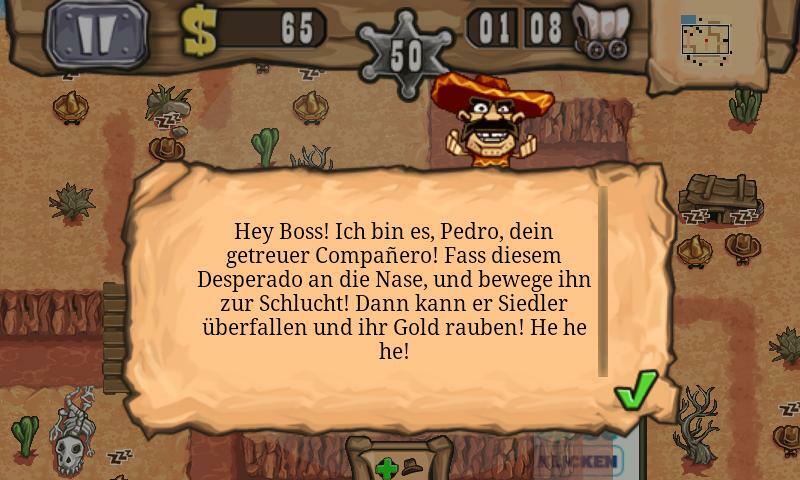 Once the game has started the first thing you’ll see is a Mexican dude who greets you by saying "Hey, Boss!“ there’s a small map located at the top of the display that shows how many waves you’re up against, which one you’re facing at the moment, how many settlers you can still allow to escape before you lose, how much money you’ve got remaining, as well as the pause button. Once you press the Pause button you’ll be able to set the volume (using the birdie), continue playing, start from the beginning, or switch off the game. Thus, the display is kept very minimal, which makes sense considering the amusing nature of this app. All buttons, displays, and other elements are designed to look like something out of a comic book. The graphics, animation, and overall feeling really complement this vibe. The Free version comes with a thick banner of advertisements that runs along the bottom of the screen. It doesn’t interfere with playing, but it does get a bit annoying after playing the game for a few hours. You can move all the units by pulling them with your finger. If there are several of them at once (and some of them are facing each other), it makes the whole game more complicated, but that’s part of the fun. The app froze on me one time: the background music continued playing when I switched to another app. Aside from this minor issue I didn’t experience any crashing and only a bit of wobbliness when ads were changing in the Free version. I tried the game out on an HTC Desire as well as HTC Wildfire. The game ran smoothly on both devices, although there was more jerkiness when scrolling and using the Wildfire. 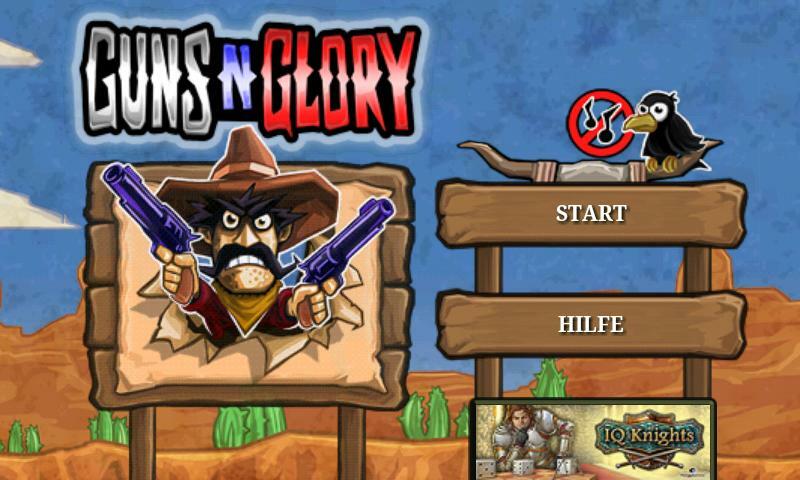 As the name would indicate, Guns'n'Glory FREE is available free of charge. The only downside is the advertisement. GAME OF PHONES cowboy style cool. This game is very nice and a great deal of fun. I only have some complaints about the controls and it could use more stages. If you don't want to get the annoying ads just play it with your WiFi or 3G off. Played it on Galaxy S without a problem.